A team of researchers at Baylor College of Medicine and Texas Children's Hospital has revealed a connection between mTORC1 and Src, two proteins known to be hyperactive in cancer. The study, published in the journal Nature Communications, shows that Src is necessary and sufficient to activate mTORC1 and offers the possibility to develop novel approaches to control cancer growth. "We started this study because we wanted to investigate whether the increased activities of both proteins Src and mTORC1 in cancer were connected," said Dr. Rituraj Pal, postdoctoral associate of molecular and human genetics and the first author of this study. mTORC1 is essential for the survival of all cells. It is at the heart of the mechanisms that regulate cellular metabolism, growth and proliferation. mTORC1 plays a central role in maintaining the balance between the processes that break down complex molecules (catabolism) and those that build cellular molecules (anabolism). If this balance is disrupted, for instance, if catabolism supersedes anabolism or vice versa, disease may follow. To balance cellular metabolism, mTORC1 integrates a number of signals, including those related to growth factors and amino acid availability. Signals that promote mTORC1 activation trigger cell growth by promoting protein synthesis. On the other hand, signals that inactivate mTORC1 result in the cells breaking down complex molecules to produce energy. In this study, the researchers studied whether Src contributed to the regulation of mTORC1 that is mediated by amino acids. 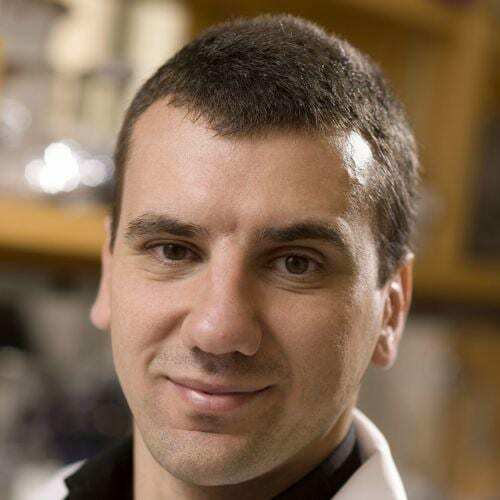 "Amino acids activate mTORC1 and, when they were removed, mTORC1 activity was reduced and the downstream activity of mTORC1 also was decreased," said Dr. Marco Sardiello, assistant professor of molecular and human genetics at Baylor and a member of the Jan and Dan Duncan Neurological Research Institute at Texas Children's Hospital. "Amino acids do not act directly on mTORC1. We found that Src plays an essential role in this amino acid-mediated regulation of mTORC1 activity." The researchers think that the connection between mTORC1 and Src is analogous to that of an AC machine and its thermostat. "When the temperature reaches the set value, the thermostat will turn the AC on. When the temp drops below that value, the thermostat will turn the AC off," Pal said. "Src is doing something similar. When it's informed of the presence of amino acids (analogous to the temperature reaching the set value), Src is sufficient and necessary to pass on this information to the rest of the system and mTORC1 is activated. When amino acids are absent (analogous to the temperature dropping below the set value), then Src will mediate the inactivation of mTORC1." When the researchers modified Src so it would be constantly active, it over-wrote the effect of amino acids on mTORC1, which remained active even in the absence of amino acids. When Src is hyperactive, it is like the thermostat malfunctioning, continuously signaling the system to stay on even if the temperature is below the set value and no additional cooling is necessary. The analogy also works the other way. If the thermostat is broken, even if it's very hot, the AC won't turn on. So, if Src is defective in such a way, it won't relay the necessary information for mTORC1 to be activated, even if it's necessary for the cell to work properly. "This role of Src was completely unknown and unexpected," Pal said. "We have discovered that Src is necessary and sufficient to activate mTORC1." These findings have important implications for cancer studies. They imply that in those cancers in which Src is hyperactive (the thermostat is malfunctioning), it is likely that mTOR is driven to be constantly active revving up cancer growth. "This could be a mechanism that allows the cancer to grow regardless of what the environment is telling it," Sardiello said. "We are excited that these findings open possible novel approaches to treat cancer. In our lab, we are trying to use this knowledge to find ways around neurodegenerative diseases." Other contributors to this work include Michela Palmieri, Tiemo Jürgen Klisch and Alberto di Ronza at Baylor College of Medicine and Texas Children's Hospital; and Arindam Chaudhury, Joel R. Neilson and George G. Rodney at Baylor. Financial support was provided by the National Institutes of Health (NIH) grant 473 NS079618, grants from the Beyond Batten Disease Foundation and grants from The National Institute of Arthritis and Musculoskeletal and Skin Diseases of the NIH under Award Number R01 AR061370.